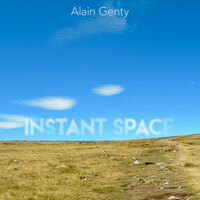 Alain Genty, born 22 september 1958 at Nogent sur Seine (France). He is a self taught bass player. In 1989, breton music became a major axis in the development of his artistic career. He joined the group BARZAZ to record their first album « Ec’honder » with Yann-Fanch Kemener, Jean-Michel Veillon, Gilles Le Bigot and David Hopkins. He also joined the Molard brothers in the group DEN (from 1989 to 1991), and the group GWERZ from 1992. From 1989 to 1992, contemporary dance became also a subject of predilection . His meeting with the choreographer Josiane RIVOIRE leads to the composition of the score for the ballets « Les Petites Affaires » (1989) and « Les Tambours » (1991) . Following the release of his first album « La Couleur du Milieu » (1994), he founded the ALAIN GENTY GROUP (1995 / 2002) which has performed at numerous concerts and festivals throughout Europe. Featuring : Jacky Molard (fiddle), Jean-Michel Veillon (flute, bombarde), Yannick Jory (sax), Thierry Garcia (guitar) and Patrick Boileau (drums). His second album « Le Grand Encrier » was released in 1998 and his third album « Une Petite Lanterne » was released in 2004 . In 2017 the album "Eternal Tides" (Alain Genty and Joanne McIver) is released. In 2019 the album "Instant Space" is released. Between 2000 and 2008 , they founded a duet with the virtuoso scottish guitar-player Tony McMANUS. They performed at a lot of concerts throughout Europe, Canada and Australia . Their first duet album « Singing Sands » was released in February 2005. Between 2004 and 2008, they founded another duet with the great piper Patrick MOLARD. Their duet album « To the Bobs » was released in 2004, and they perform regularly throughout Europe.